Communication has drastically changed in the last few years. It wasn’t too long ago that phones were attached to a wall, and to talk with someone they had to be at their house. Now with everybody carrying a cell phone in their pocket, you can reach people wherever they are. But with those advancements to communication, phone calls aren’t the best way to communicate anymore. Texting is the way people prefer to connect with their friends and family members, and also their healthcare providers. The method of communication has already had major impacts on the healthcare industry and increased the level of access patients have with their providers, but the changes are just beginning. With more advancements and adoption of mobile technology in every aspect of patients’ lives, texting still has the potential to radically change the healthcare process. The prevalence of texting has already had some major effects on most standard procedures in a healthcare practice. Patients no longer want to get phone calls from their providers reminding them of an upcoming appointment or that it’s time to schedule another one. They would rather receive these messages through text, preferably with an easy way to confirm their next appointment or a link to schedule online. This desired and convenient method of communication isn’t new, and many healthcare practices have come around to the idea of using automated texts to remind patients of and confirm appointments. The benefits have been engrained in the practice experience. Processes that took hours of staff time were replaced with automated messages and practices were receiving more responses from their patients. This newly-free staff time gave practices the opportunity to interact more with the patients in their office and build stronger connections. 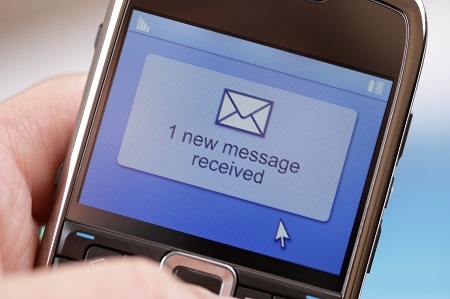 Once practices replaced outbound calls with texts, it started to affect their inbound calls too. By implementing a two-way texting system, healthcare practices now have the ability to exchange many of those time-consuming inbound phone calls for text conversations. This not only continued to increase efficiency at the practice, it also has the potential to have the biggest impact on access to healthcare. For patients, the most important care they receive isn’t a scheduled visit or preventative exam, it’s those interactions that happen when they aren’t feeling well. The last thing anybody wants to do when they’re under the weather is find a time to call their provider’s office and go through the scheduling process. With two-way texting, the patient gives a short explanation of their symptoms and asks the practice about any available openings. The practice staff can check their schedule, and through text, an appointment can be booked. Pediatric practices are just one group that has incorporated this type of care and process into their operations. Determining how sick a child really is can be hard, and knowing if a trip to the doctor is in order or if a dose of over-the-counter medicine is all the kid needs is a tough decision. Trying to make a phone call while taking care of a healthy child is a challenge, and it only becomes that much more difficult if they are sick. A quick text to an on-call nurse to get some advice about whether the child needs to be seen, and if there are any openings in the doctor’s schedule can help patients get the care they need before a simple illness becomes more serious. Across industries, tasks are becoming digital and people are using their phones more often to complete them. The majority of bills are now paid online, as paper invoices often get lost in the mail, thrown away, or forgotten about. With the variety of apps available to pay right from a smartphone, many people don’t even carry a wallet anymore. This is an area where healthcare practices can continue to incorporate texting. Texting patients their invoices or reminding them of a balance due can have a huge impact on the revenue a practice brings in, especially if the text has a link patients can follow to pay a bill right from their phone. Texted invoices and bill pay are the next step healthcare practices can take to make their processes more convenient and familiar to patients, increasing revenue and improving patient satisfaction. It was hard to imagine all the ways text could change healthcare when the first reminder text was sent 18 years ago. This communication method continues to change the way practices are run and how they interact with patients. Text messaging is the way people communicate and interact, and healthcare practices that adopt this trend will see happier patients with better health outcomes.